Hybrid Reactor / Twin Shaft Continuous Reactor | Product Information | KURIMOTO, LTD. Hybrid Reactor has been added to KURIMOTO's product lineup. 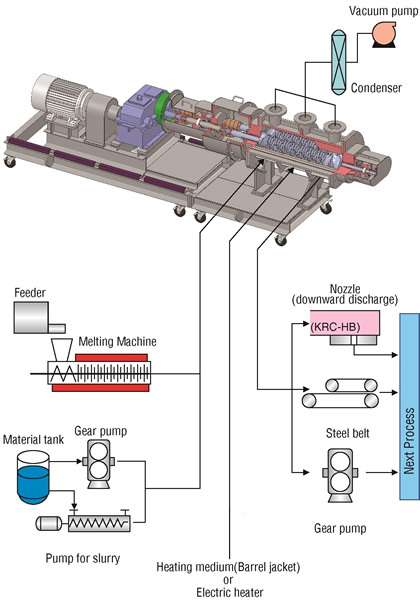 This new reactor is the next level in enhanced performance from our hold-up type reactors, and is based on KURIMOTO's knowhow for its twin-shaft continuous kneader (KRC Kneader) gained over many years. Hybrid Reactor has excellent basic performance in areas such as high-viscosity continuous processing, maintaining long residence time, plug-flow characteristics (narrow residence time distribution), self wiping performance and surface renewal effectiveness. 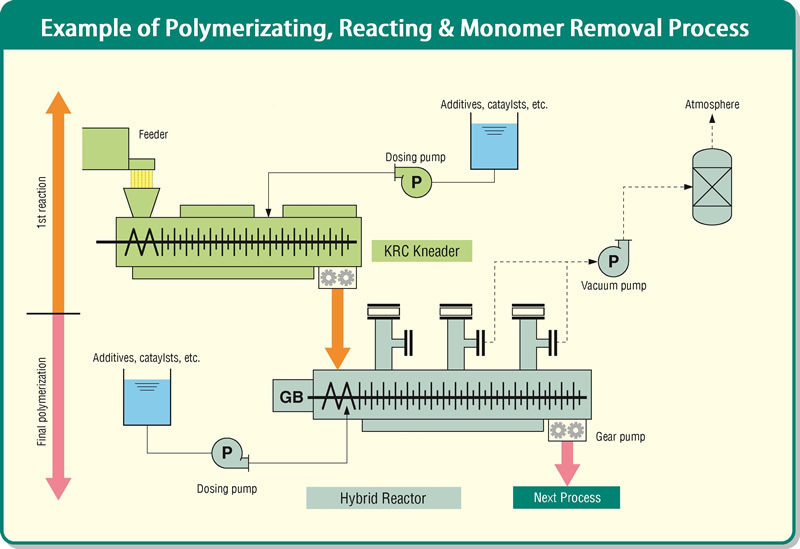 Efficient production is possible for process such as polymerization reactions and high degrees of residual monomer/solvent removal. Enable to obtain sharp residence time curve and homogeneous reaction processing. Excellent Self-Wiping performance are provided by rotating with maintaining a certain clearance. Enable to form the large gas-liquid interface and surface area, and achieve excellent accelerated reaction effect. 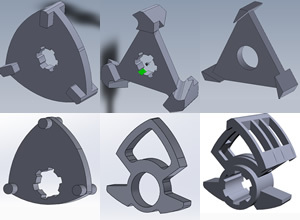 The uniquely-shaped various type of blade can be selected. 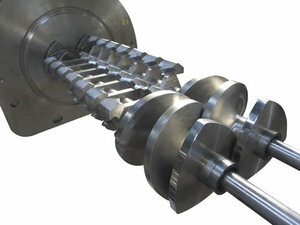 * If required excellent mixing and dispersion capability, KRC Kneader (Continuous Kneader / Reactor) would be a solution. 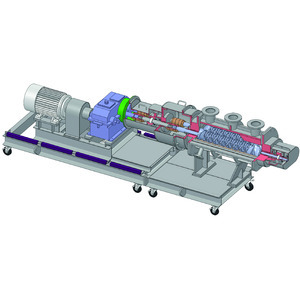 Hybrid Reactor has several options of discharge methods (Nozzle, Vacuum tank, Gear Pump etc.) and can transfer to the next process. Two Size (8L & 65L) of Hybrid Reactor as test machines are installed in our Machine and Technology Center in Sumiyoshi Factory, Japan and trials are available under high vacuum and high temperature condition with your raw materials. If you have any inquiries about kneading, reaction, and granulating tests, please feel free to contact us anytime.